I have recently moved and I realized I can obsess over everything and anything. I am watching the G-Star skinny leather pants. 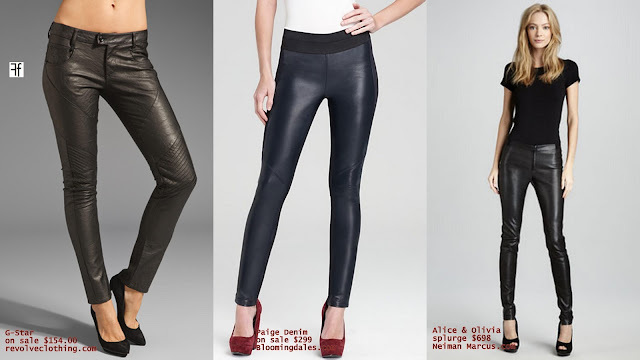 For a truly budget conscious shopper there are TONS of faux leather legging alternatives and leggings with leather panels. Both are great on the wallet + animals.